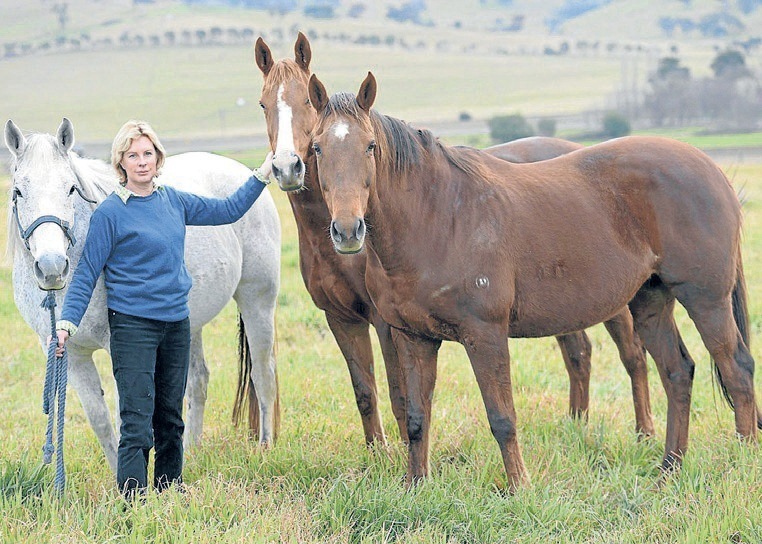 Fran Overstone, Little Wych Stud, Bathurst, with stakes-producing mares Swentre, Benevolent NZ and Frost Fair GB (Photo and story courtesy of The Land , published Thursday, July 31, 2014). BENEFITS from smaller studs are not restricted to the Hunter, nor the success of breeders – the Central West, Southern Highlands and the North Coast and South Coasts are getting in on the act. Little Wych, owned and operated by Fran Ovenstone, offers short- and long-term agistment and sale preparation on its 120-hectare property near Bathurst. Stakes-winners Ain’t Seen Nothin’, Mourinho, Molto Bene and this season’s two-year-old Leeds, have been produced from Little Wych. We provide long-term or seasonal agistment, racehorse spelling and sale preparation, with individual attention to horses recovering from illness or injury. A limited number of agistment positions are available.